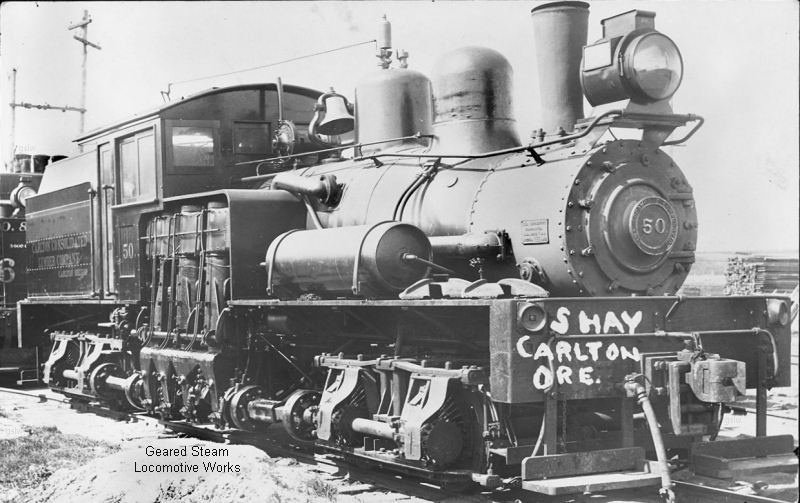 This was one of four "left handed" Shays custom designed and built for the Cabrera mining operations . 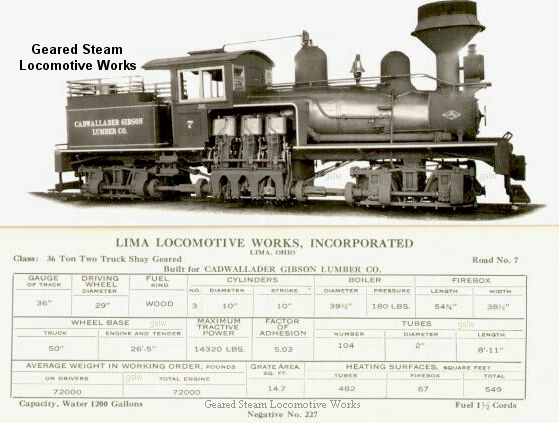 The company was funded with British capital and built by engineers of the same country. 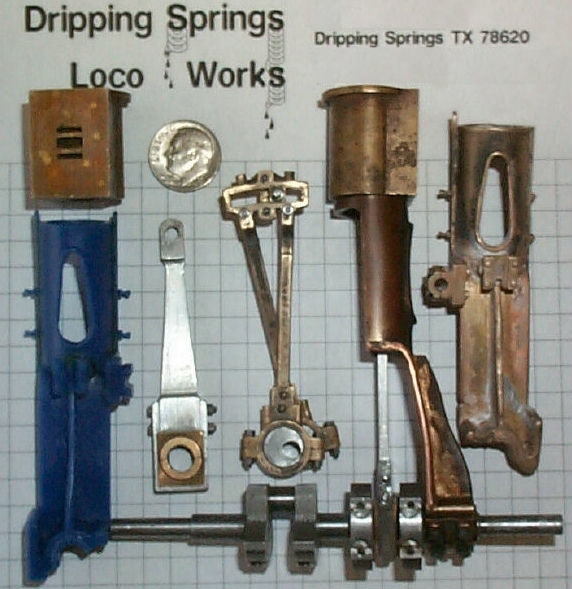 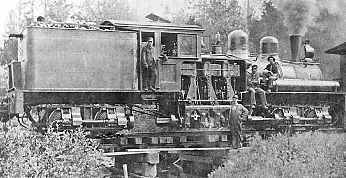 Thus the reasoning for the extremely unusual positioning of the cylinders, gearing, and drive shafts on the left side of the locomotives. 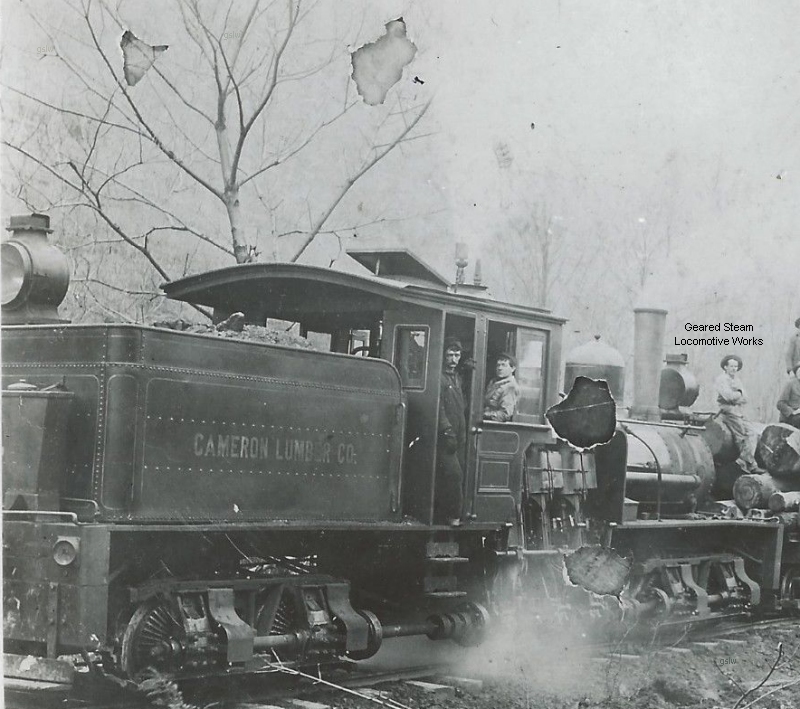 Photo posting permission granted by the Allen County Historical Society courtesy of Dan Rowe. 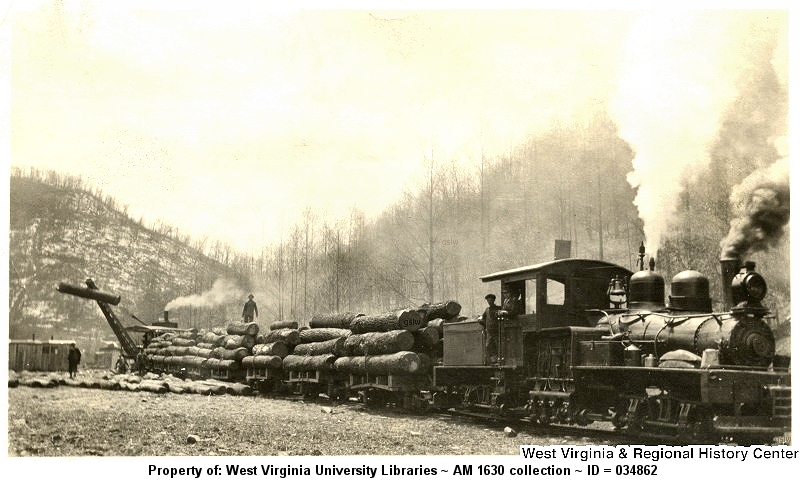 Photo from the C. T. Stoner collection. 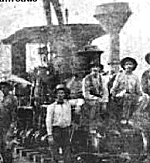 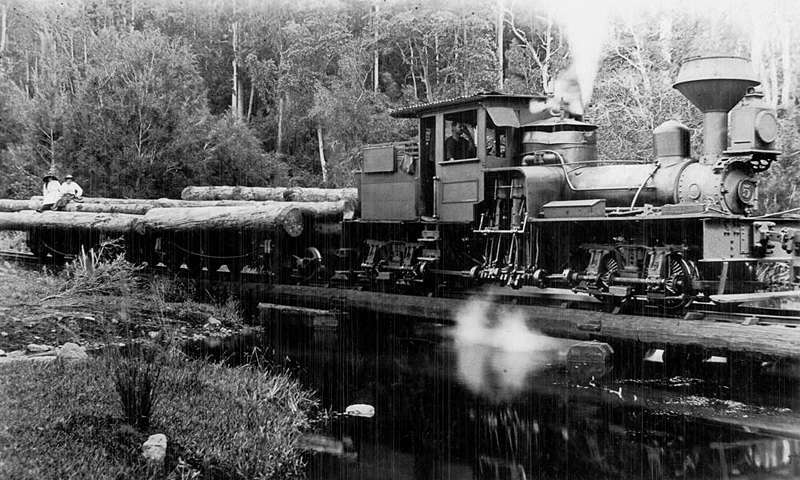 The railroad was owned by Cummer Lumber Co. 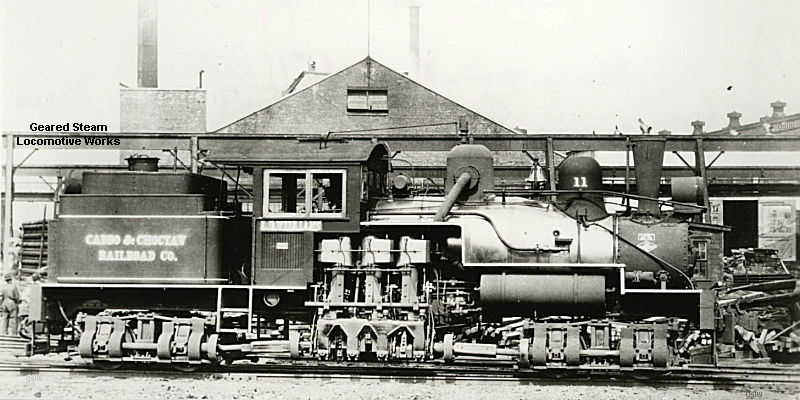 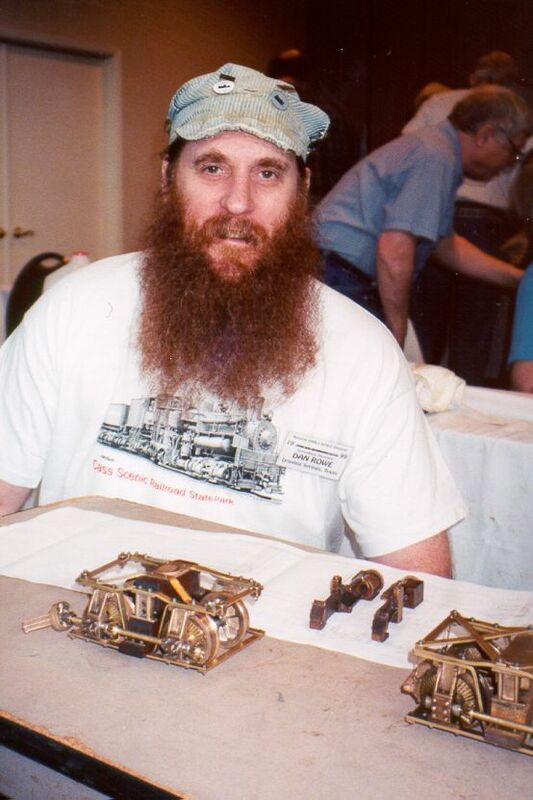 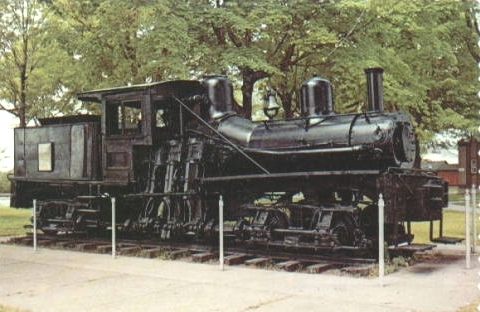 The locomotive was named "E. C. Cummer"
The locomotive operated near Pellston, Michigan. 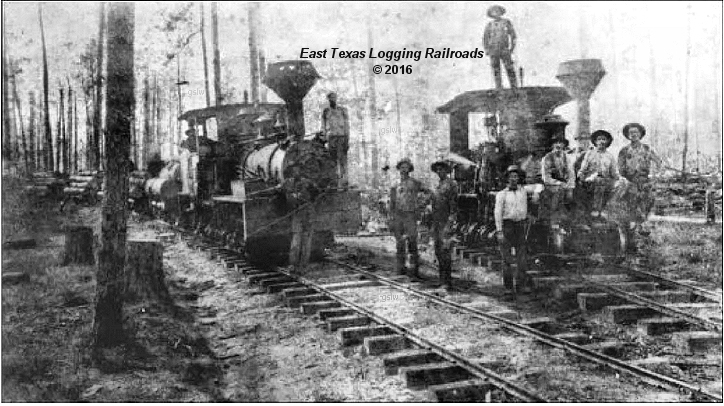 Photo hosted by The Forestry Forum. 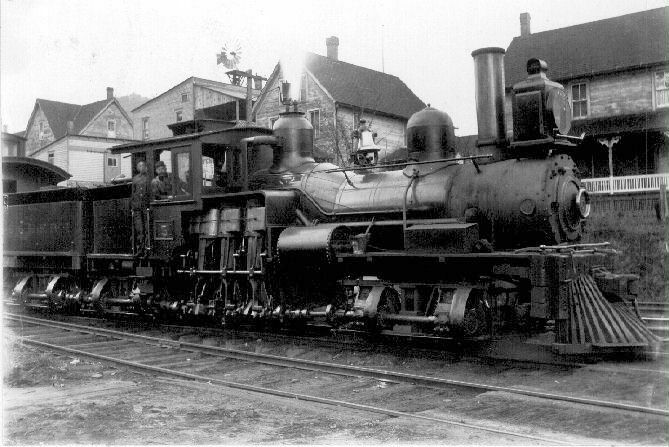 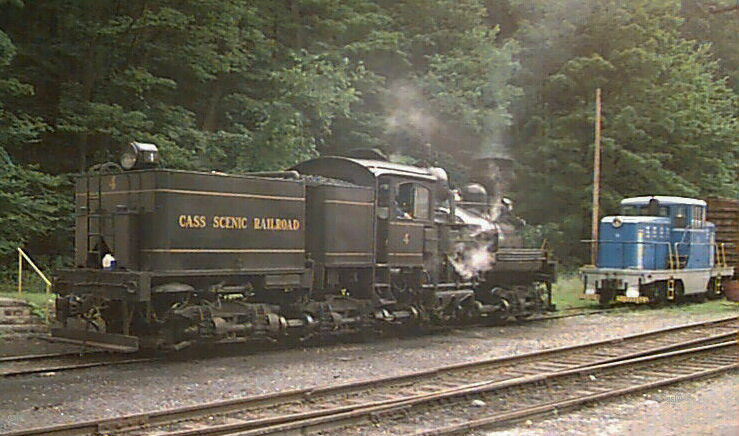 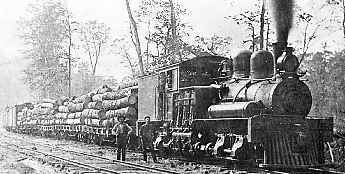 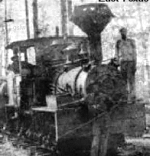 The locomotive operated near Cameron, Pennsylvania. 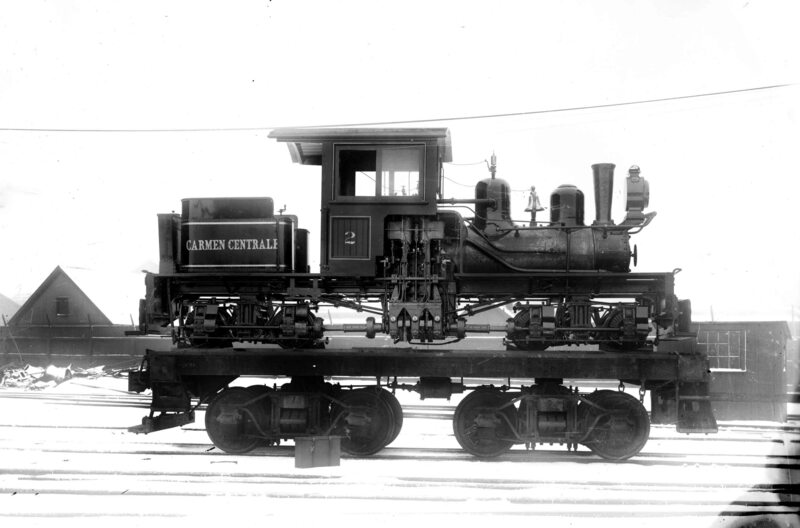 The photo is part of the Walter Casler collection. 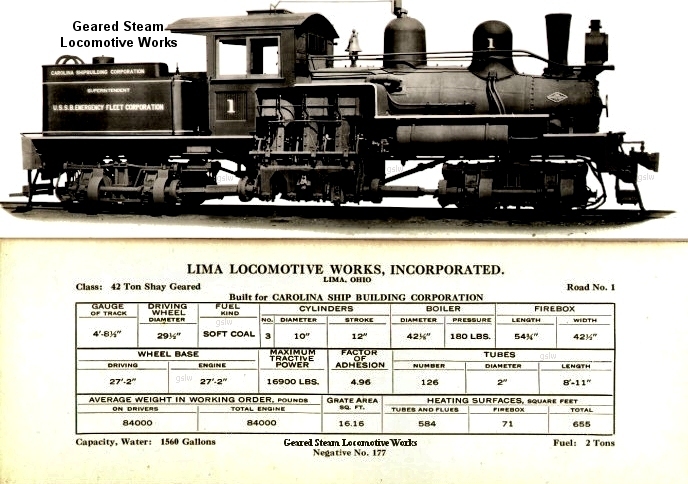 The railway originally assigned the locomotive the road number #1 (upper photo) and subsequently changed it to #5 (bottom photo). 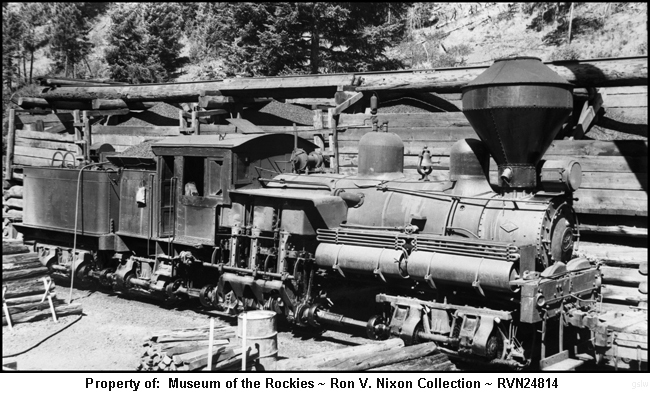 Upper photo from the Ben Kline collection. 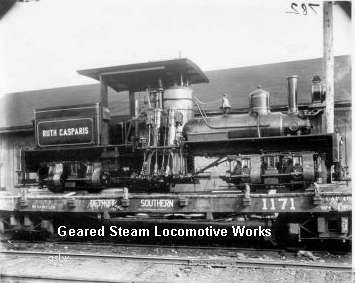 The locomotive was later renumbered to #117 by CFP.. 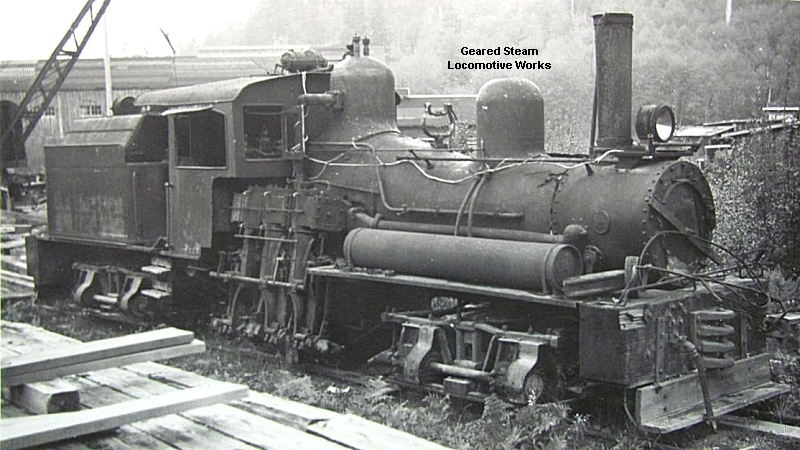 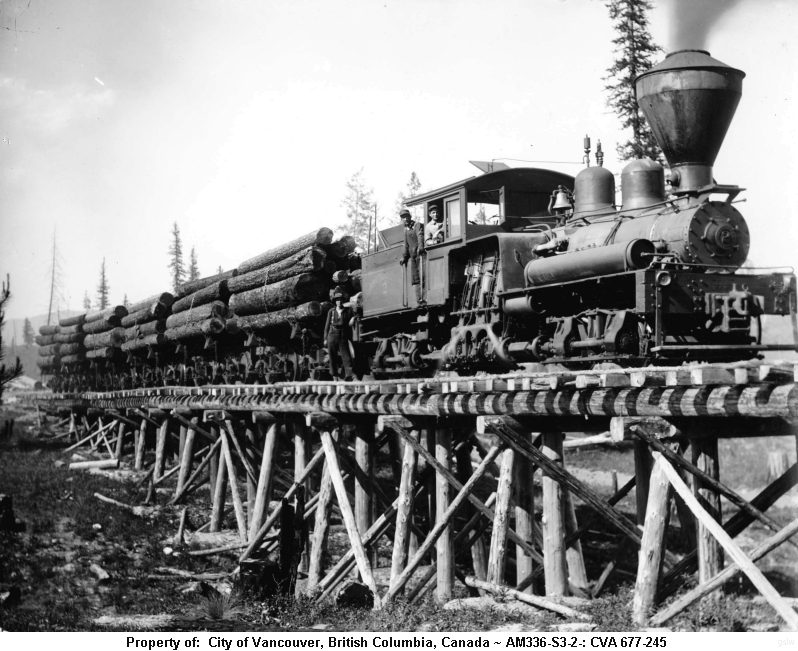 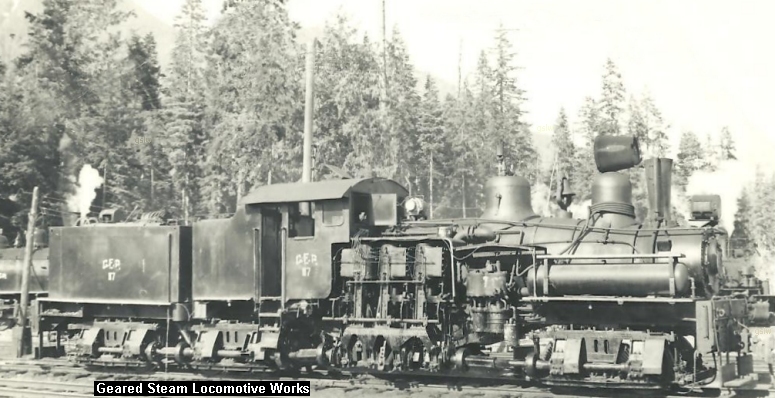 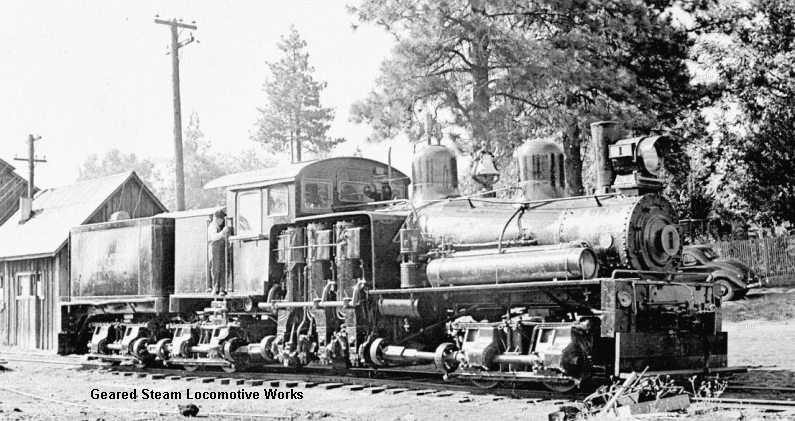 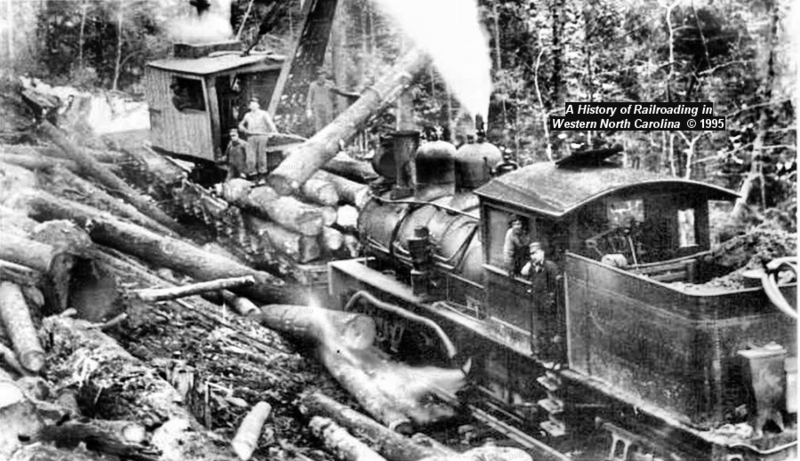 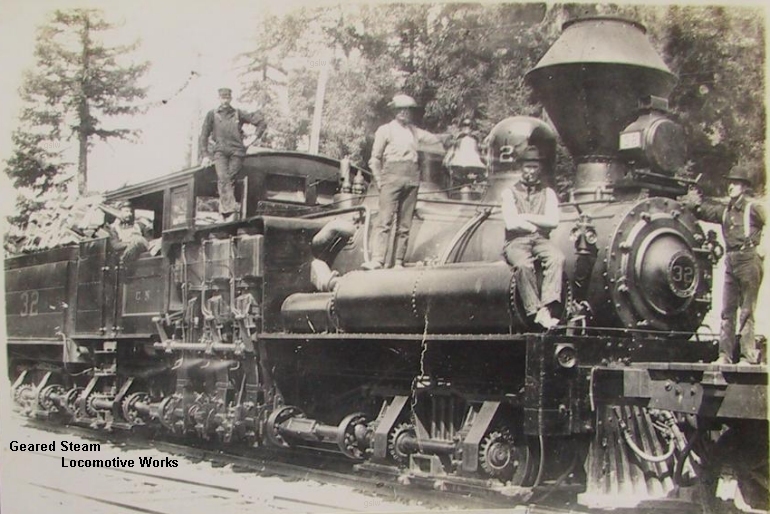 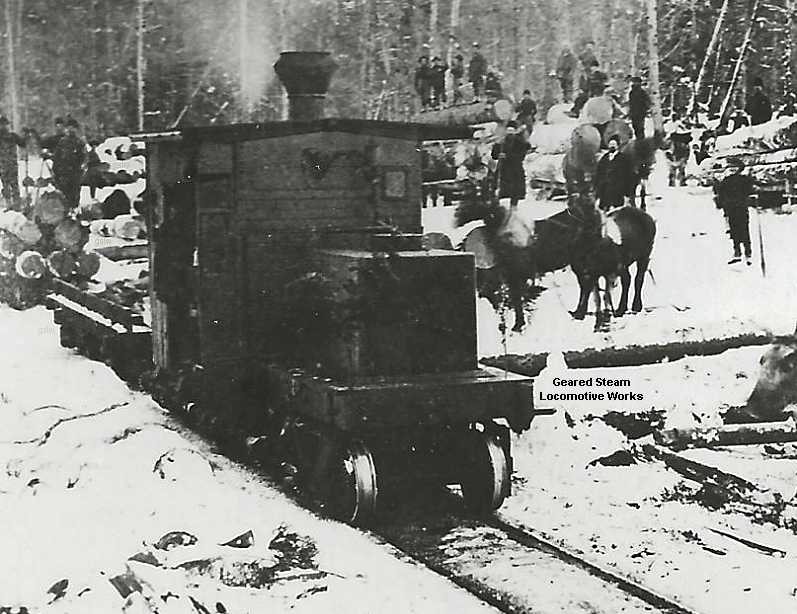 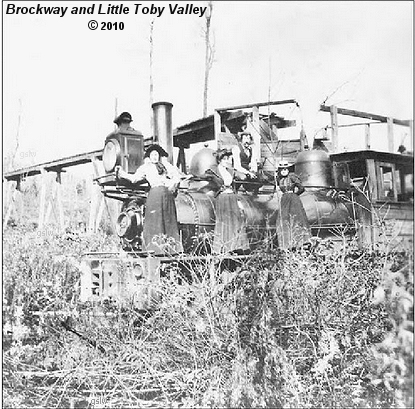 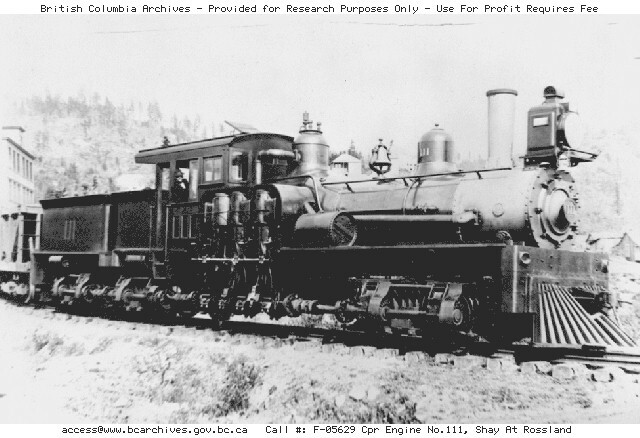 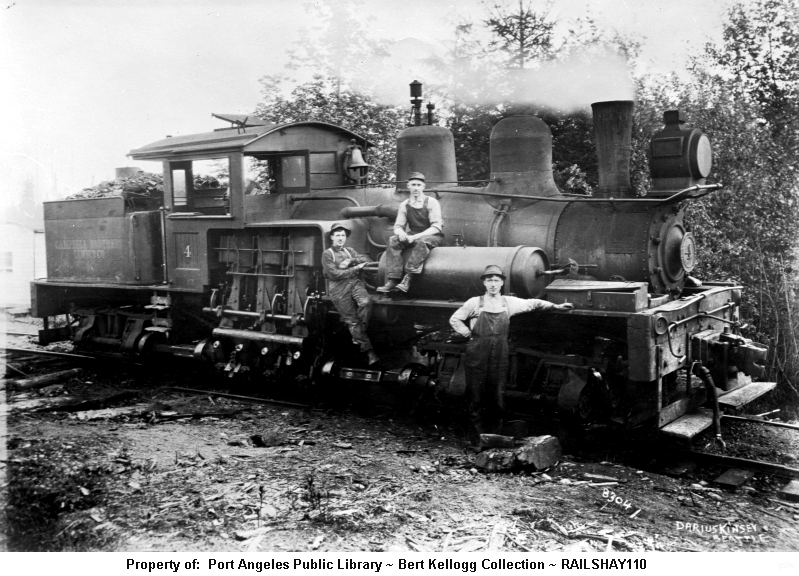 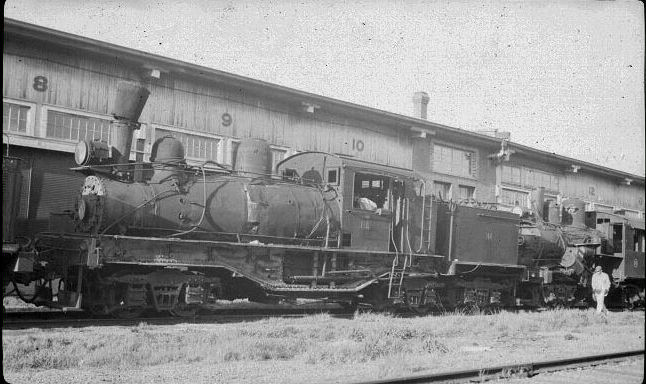 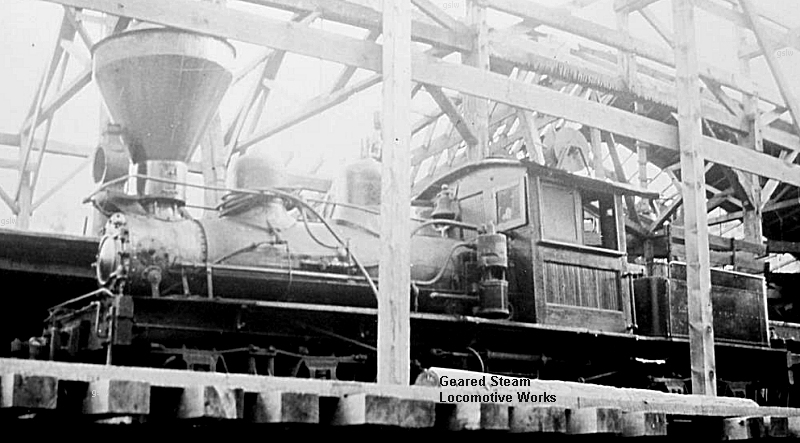 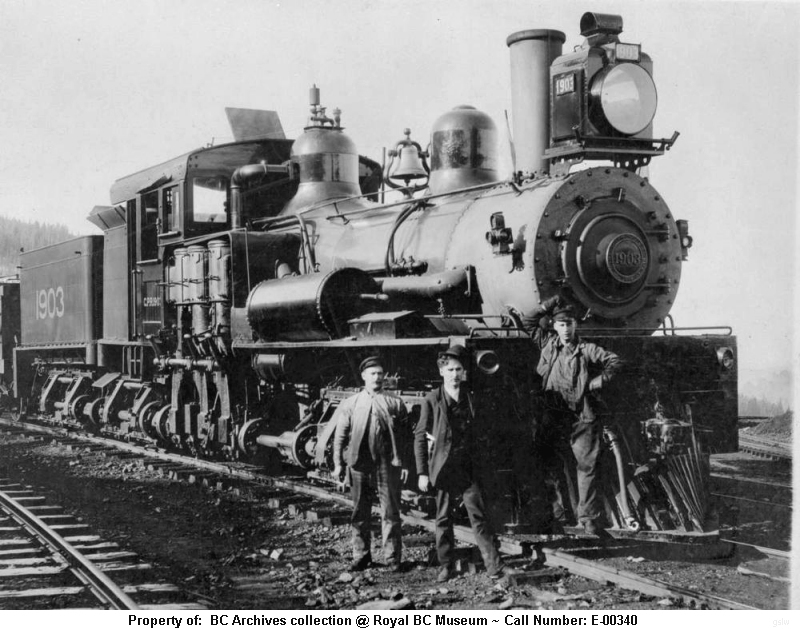 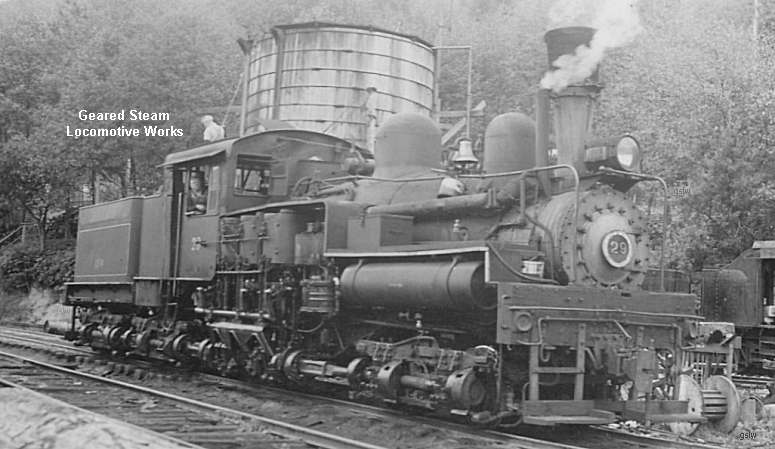 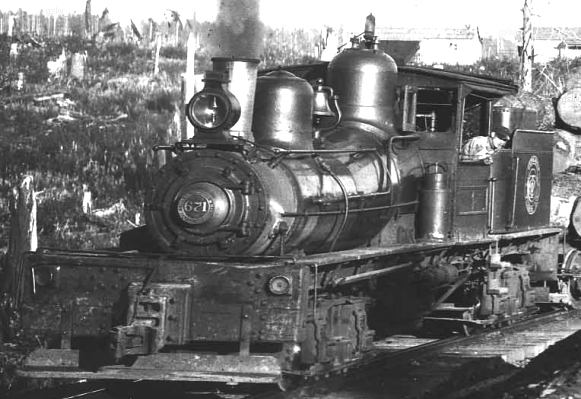 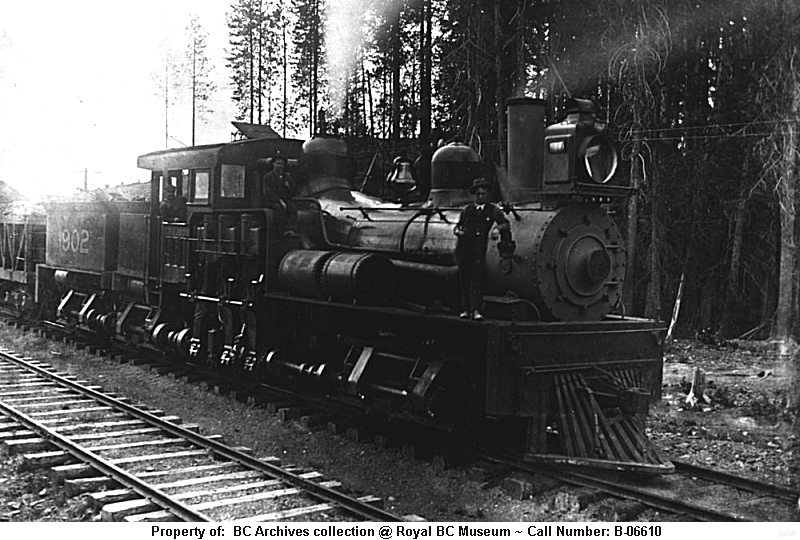 The locomotive operated near the company's Englewood, British Columbia, Canada location. 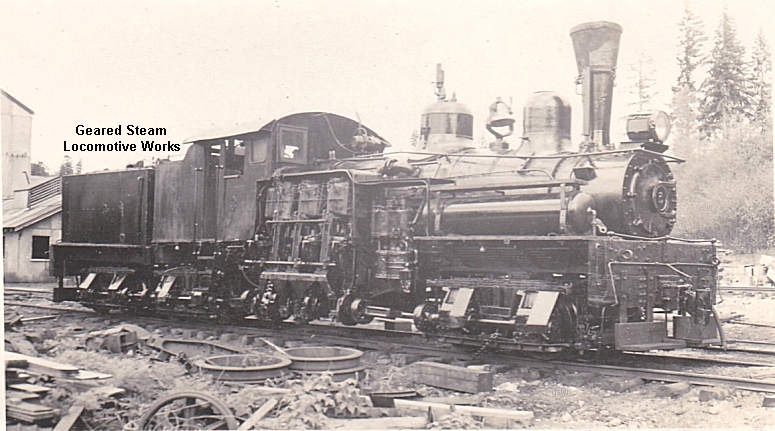 CFP later renumbered the locomotive to #114. 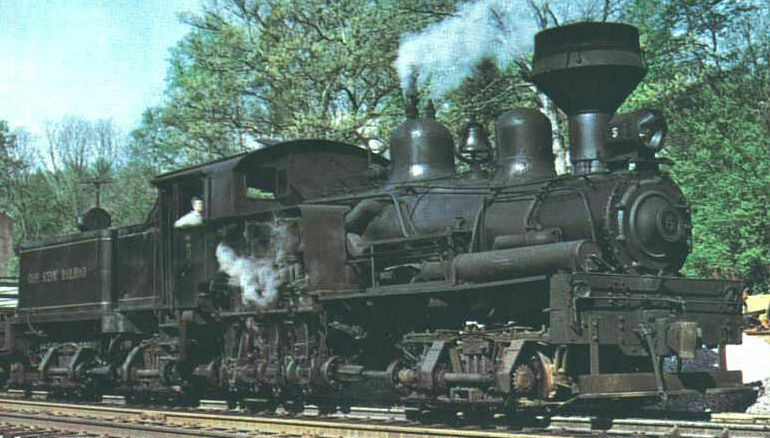 It was renumbered from 103 by CFP in 1957. 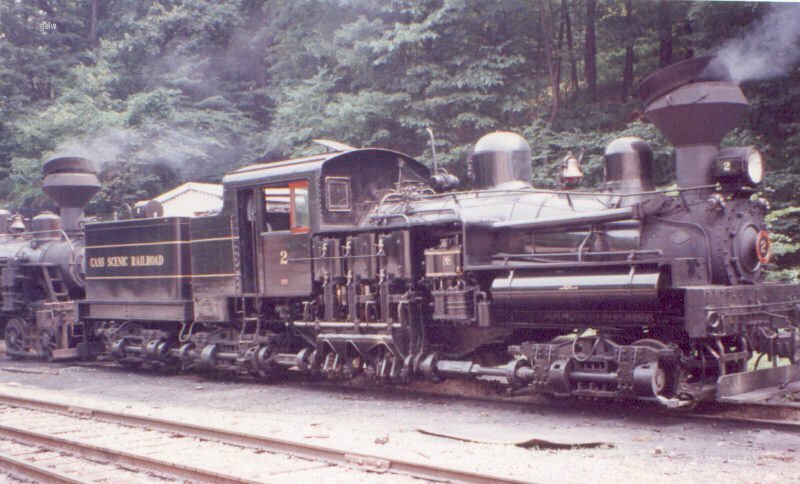 It was scrapped in 1959. 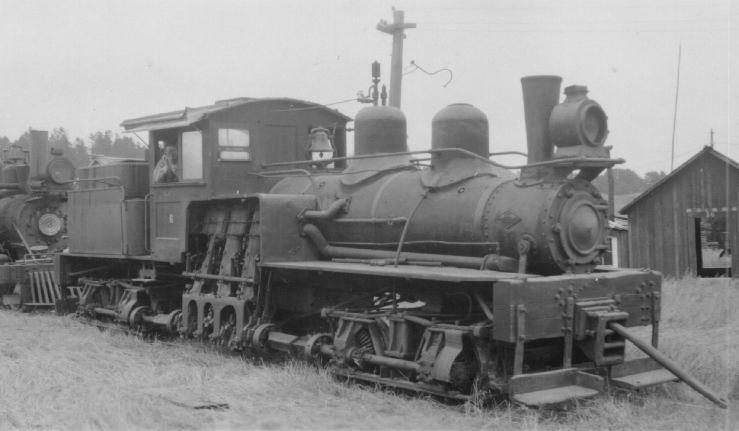 The photo also shows one (# ?) 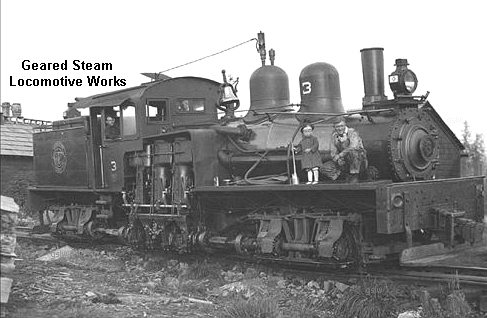 of CFP's 3 Climax locomotives. 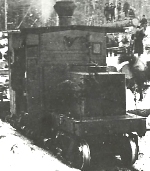 The locomotive was renumbered from #3 by CFP during its service with the company. 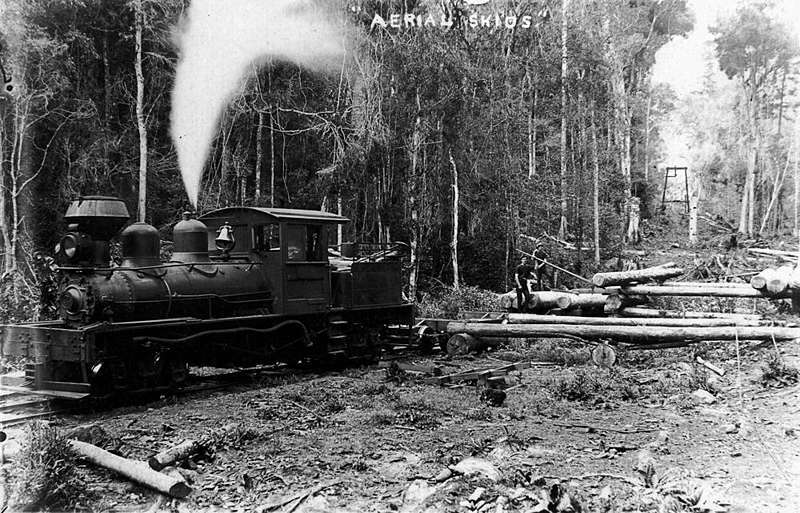 The locomotive operated near Morton, Washington. 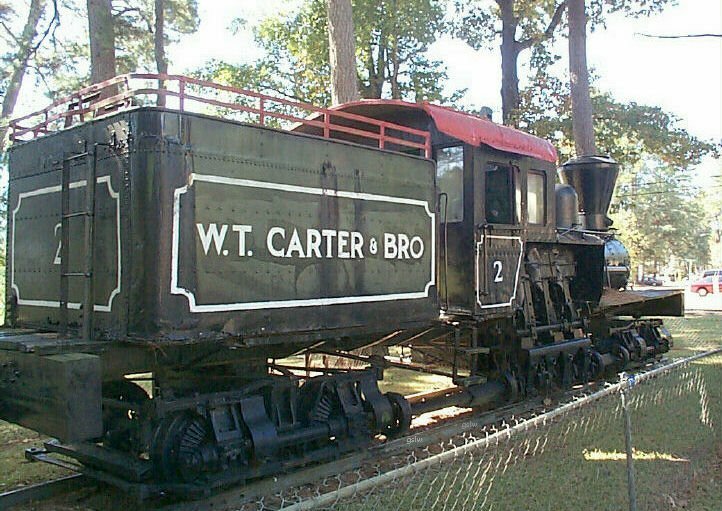 The brothers were William Thomas and Earnest A. 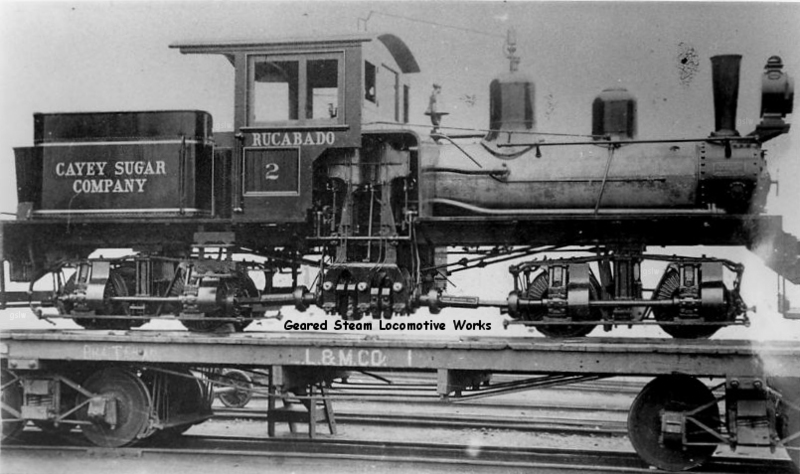 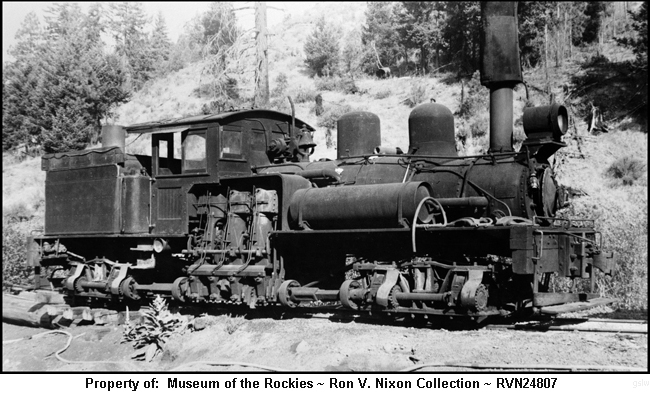 The locomotive was named "RUCABADO"